Eternal Beauty Skin and Laser | Botox, Dermal Fillers, Dysport, Laser Hair Removal, Microneedling, IPL, NovaThreads, Full body waxing, Facials and Peels, Dermasweep Microdermabrasion. 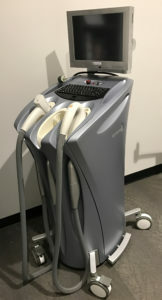 Cynosure Palomar Icon and SculpSure. The following lasers are for sale. Please contact us if you are interested.